The Wing Commander series was one of the most popular and successful computer game series in the 90ies. And it was one of the less, that had even merchandising and other articles. There's was a novell series, too, and the first volume “Freedom Flight” is the topic of this review. 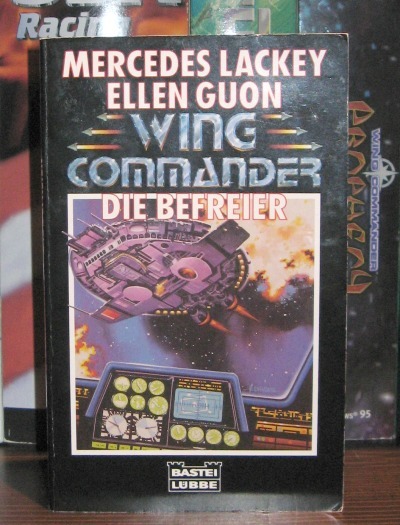 The book was written by two fitting authors: Mercedes Lacke has some experience in the fantasy- and SciFi-genre and Ellen Guon was a game designer once. So, there are good premises. Let's have a deeper look to the result. Wil Wheaton is a rather normal, crazy geek, who (sorry I have to mention it one time) had the honor to play a continuing role in Star Trek. 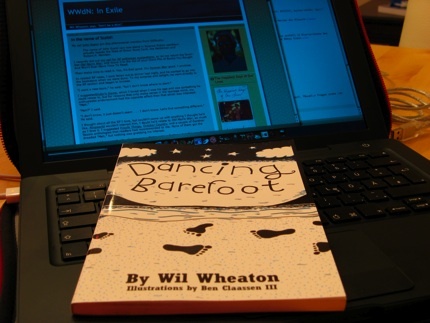 Because of this job, his writing talents and his unique, nice way he made me have one of the best reading evenings since a long time, with his first book called “Dancing Barefoot”. 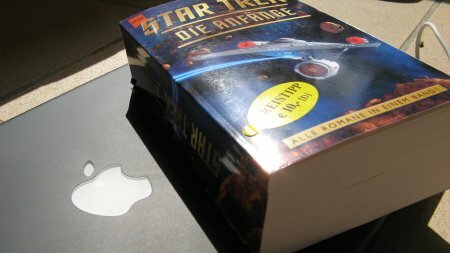 Star Trek novels are most fun, when they try to answer questions that a trekkie always had on his mind: What happened with Kirk between The undiscovered Country and Generations? How was the first year of the Enterprise-E in which the ship was just hunting comets , like LaForge said? And what kind of person was Captain Pike, before he was forced to use the modern version of a wheelchair? 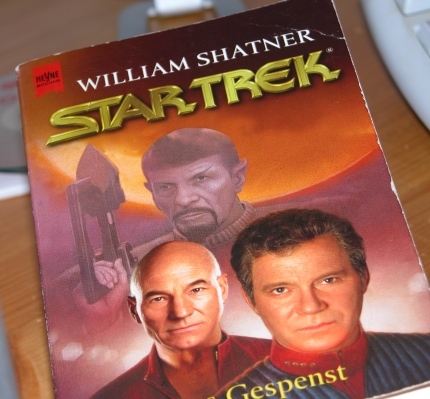 With the omnibus volume “Star Trek – Die Anfänge (The Incipiencies)” there're three novels in one volume, which try to describe the time before the first five years mission of the Enterprise and Captain Kirk. This review is about the first 500 pages, that are known as “The first adventure” written by Vonda N. McIntyre. It took some time, but now the first (read) biography is detectable in my bookcase. First I thought, that biographies can never reach the depth of novels. That might be true, but in this case “Just for fun – The story of an accidental revolutionary” proved me wrong. All good things are generally known three. Maybe that's the reason why trilogies are so popular? And maybe that's the reason why these last parts are mostly something special? 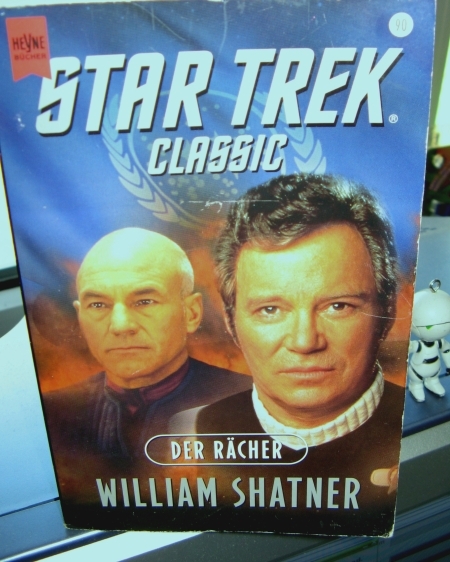 If that appears to the first Star Trek novel trilogy of William Shatner, too? Let's see. Sparks goes murder mystery. Lovestory meets site of crime. 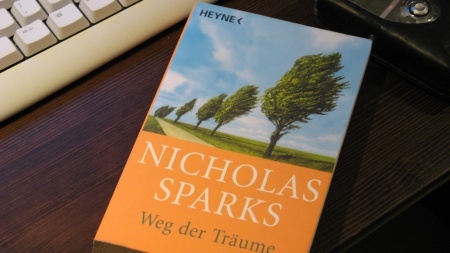 – With words like these the fifth novell of Nicholas Sparks can be described. I've read the book and wrote my thoughts about it down. Finally I have time to blog some lines so I'll post one of the book reviews, that are pipelined here. There are two other read books here, that are waiting for a rating. Because of this, I almost hadn't the heart to start reading a new book. The first book I want to review this time is “Spectre” written by William Shatner. The book is the first one of another trilogy and it isn't the follower of “The ashes of Eden” like I adopted untruly. Is it real? The “Sincere Amore”, like it is called at Caroline in the City? The never ending love, that is never called into question? Is it possible that ones is as happy as newly lovers? Besides reference books and books that make me thinking and/or crying, I like novels which take place in the Star Trek universe. 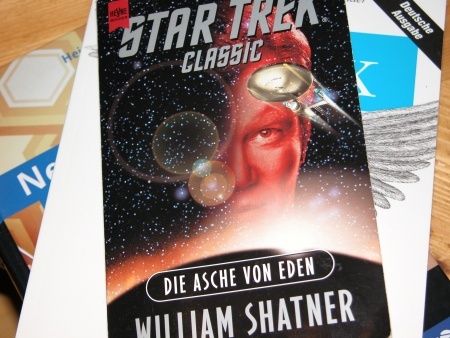 Recently I have read such a novel, namely “The ashes of Eden” written by William Shatner. Shatner is known by most people in the role of James T. Kirk from the first Star Trek series and the first 7 Star Trek movies. 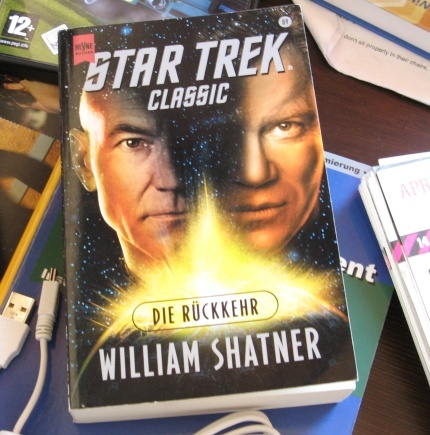 His Star Trek novels belong to the most popular and most selling “of their kind” (Hint! Hint! ). “The Ashes of Eden” is the first part of a trilogy and it starts chronologically afer the incidents of Star Trek 6. 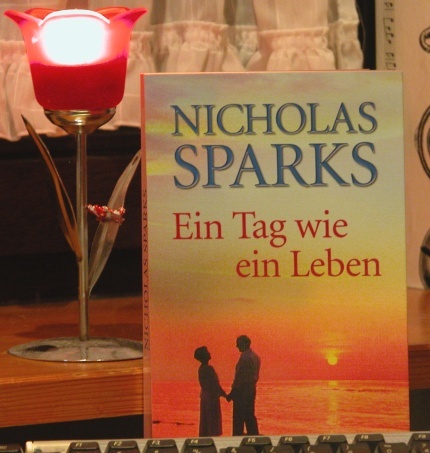 I finished the third novel of one of my favourite authors Cecelia Ahern yesterday afternoon. I loved the first two novels, so i had a certain expectation about "If you could see me now". But this Ahern novel hasn't much a lot in common with the first to acts. Yes, i like books. Lot of types of books. Lovenovels, science-fiction stories or specialised books... I like to read. Therewith a book will be something special and more than just a "read and throw-away"-article i want to write reviews about all books, i'll read. I can have an overview in a retrospective way and perhaps i can attract attention to some of my readers to a special book. I'm looking forward to the discussions about the books and my reviews we'll hopefully will have.